Add to your smart and stylish quotient with this shirt. 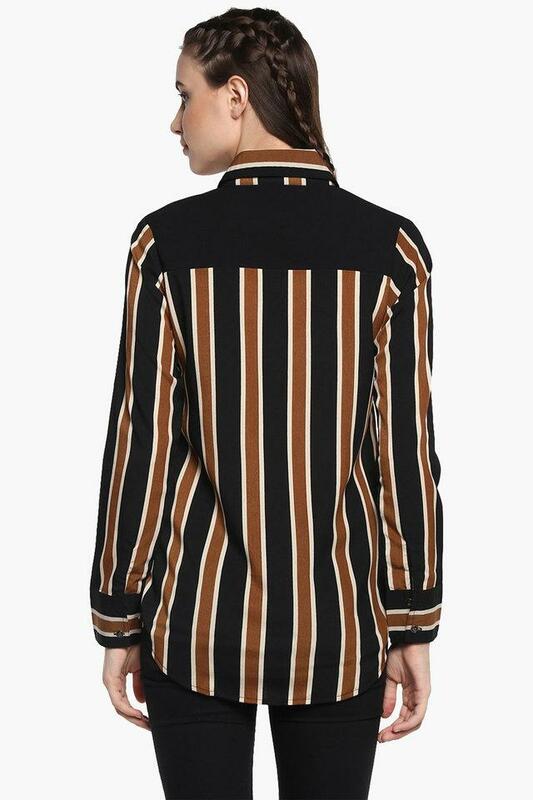 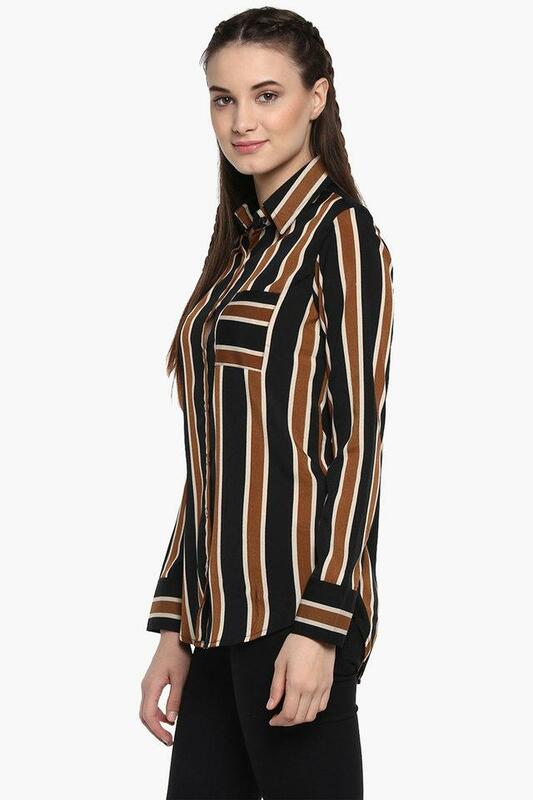 In a striped pattern with different shades, it features a collared neck that lends it an elegant charm. 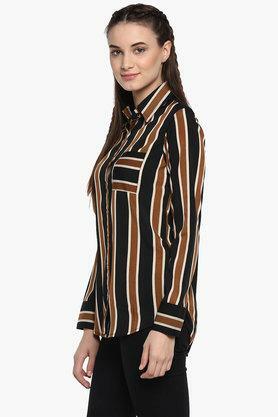 The full sleeves and narrow striped pattern make it look all the more chic. Made from soft fabric, it is a comfortable wearing option for long hours of the day. 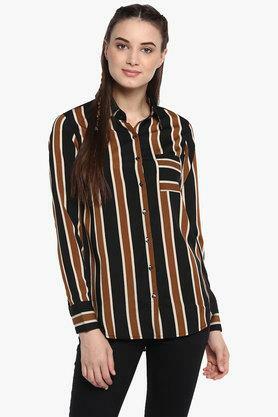 Enter any work-related party smartly while wearing this shirt from Soie. You can couple it with a pair of trousers and strappy sandals for a complete look.